As your state senator, I remain committed to maintaining open communication by holding monthly office hours in various communities throughout my Senate district. I will be available to answer questions, provide information and assistance, and take suggestions on issues affecting communities and businesses in the district. Please feel free to stop in. No appointment is necessary. If you are unable to make it to the following dates, please contact my office at SenatorJonBumstead.com or call 517-373-1635, and we will get something set up for you. I recently co-sponsored Senate Resolution 22 to commemorate the 100th anniversary of the American Legion. Since 1919, the American Legion has been a strong advocate for veterans and their families. The organization was founded on four pillars of service, including care for veterans, a strong national defense, patriotism and children and youth. Over the past 100 years, the American Legion of the Department of Michigan has fulfilled the Legion’s mission through programs such as Boys State, scouting, an American Legion hospital, an American Legion children’s home, the American Legion Riders, baseball and many other programs. We honor the American Legion for 100 years of dedicated service and commitment to our nation’s veterans and all 56,567 members who live in our great state. Public Act 418 of 2018 allows individuals with certain skills, certification or professional experience to substitute teach. There is a serious shortage of substitute teachers in Michigan. The new law makes more qualified individuals available to substitute teach in difficult-to-fill areas. Public Act 463 of 2018 opens more access to dental care by creating a new class of health providers, called dental therapists, to give routine dental care under the supervision of a dentist. A dentist can choose to employ a dental therapist in their practice to provide preventive and basic restorative care. More than 90 percent of Michigan counties contain a dental shortage area. Public Act 669 of 2018 waives the fee for veterans who want to get a state identification card. Many veterans are on a fixed income and every little bit helps. A state ID with their veteran designation as proof of service can help someone obtain discounts and other benefits that many businesses provide to veterans. A Michigan spring can bring fast-changing weather conditions, including lightning, flooding, thunderstorms and the threat of tornadoes. 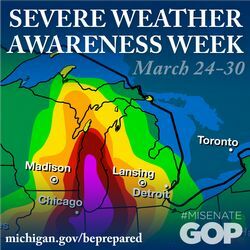 Severe Weather Awareness Week, held March 24-30 this year in Michigan, encourages people to prepare for any weather-related emergency. Visist www.michigan.gov/miready for tips and helpful information on how to make a plan before severe weather strikes. The site includes checklists for home, auto and pet emergency preparedness kits. Description: Are you looking to start a career but don't know what opportunities are available? Talk to local employers and do some career exploration at the CTC’s 2019 Job Fair! More information can be found here. Description: Opening Day of the Silver Lake State Park ORV Area. More information can be found here. Description: The cleanup day is open to anyone interested in helping, and all ages are welcome with a parent or guardian. We will be meeting at the flag check booth near the dune entrance ramp at 7 a.m. and will work until 10 a.m. A free lunch will be provided by the SLRA and DNR teams afterwards at DuneLand Off-Road Center. More information can be found here. Description: The event features over 65 exhibitors with an amazing array of the area’s newest and innovative home products and services! Returning this year and bigger than last year is the Healthy Living Hall with 31 exhibitors promoting healthy living, eating, education and safety. More information can be found here. 10 a.m. – 1:30 p.m. Description: The fourth annual Pooches and People Picnic is a fundraiser that supports The Bob and Merle Scolnik Healing Center of Harbor Hospice — the only grief and loss center in Muskegon County that offers free grief support (groups and counseling services) to children, teens and adults in our community who are dealing with a loss of any kind. Anyone can attend for FREE and most events will be no charge. More information can be found here. Description: Enjoy the tradition of Easter egg hunting but with a twist. Hop into the pool and collect as many eggs as you can! There will also be arts and crafts, movies and more. More information can be found here. Description: The Muskegon Lakeshore Chamber is mixing things up this year with the first annual Excellence Awards! Awards will be presented to local businesses or organizations that exemplify excellence in manufacturing; tourism; retail; service; entrepreneur; nonprofit and community engagement. More information can be found here. Description: Speak with college representatives about the opportunities offered at each of their schools! Each school will talk about their college and will answer the questions you need to get started in your college career. More information can be found here. Description: This spring, fairies and gnomes will be stopping by Camp Newaygo to find a place to stay in our Enchanted Forest! Enjoy the fun and check out amazing little houses created by local artists specially for our tiny visitors. More information can be found here. Description: The White Lake Area Chamber of Commerce is seeking volunteers for a community cleanup of our bike path and shoreline. Dress accordingly (work gloves, sunscreen, layered clothing, etc.) and meet at the Chamber Depot, 124 W. Hanson St. in Whitehall on Sunday, April 28 at 1 p.m., where an action plan will be announced. More information can be found here. 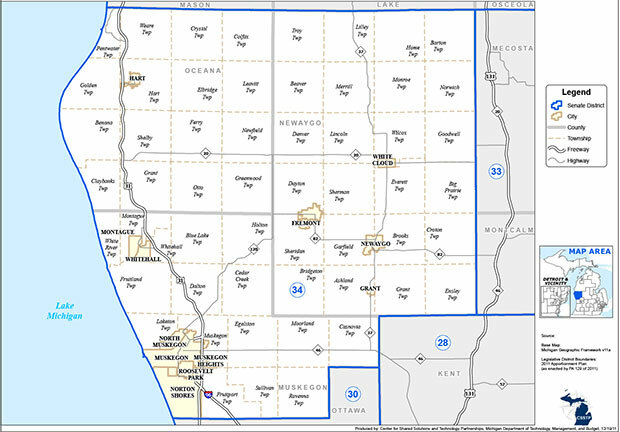 The 34th State Senate District includes the counties of Muskegon, Newaygo, and Oceana. Thank you for subscribing to my electronic newsletter! 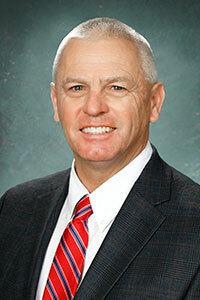 I am honored to represent you in the state Senate. As always, please do not hesitate to contact me if you have any questions or concerns. Please feel free to forward this on to others who may be interested in receiving the 34th District E-news. You may sign up for it also at my website.